The latest Rhode Island food, drink, restaurant and dining news and events. Here’s where to get your zeppole fix. On Thursday, April 18, Katie Parla will visit Sarto in downtown Providence while on her book tour. Signed copies of her book, Food of the Italian South, will be made available for purchase, along with a four-course dinner comprised of eight to ten family-style plates. Wine and amaro pairings from Lamoresca will be served, and an a la carte beverage menu, including Don Ciccio and Figli specialty cocktails, will be available. The meal to be served includes dishes such as vegetables sott’olio, frizelle capunata, orrechiette grano con burrata, pomodorini e pesto, cortono with lamb, a spring vegetable stew with local fish and a cookie plate. The cost is $65 for the dinner and $35 for wine pairings. Complimentary parking is available. 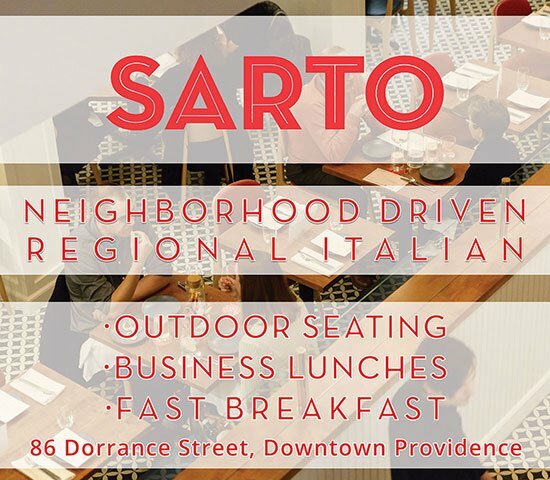 Reservations can be made at sartoprovidence.com. Give and Co. is throwing a Folk Fundraiser for Sojourner House at Providence Bagel’s brand new location in North Providence. Some of PVD’s most-loved musicians will perform after guests learn about the Sojourner House mission and how they can help combat domestic violence, right here in Rhode Island. The night kicks off with a presentation by activist and speaker, Ashley Bendiksen, and then the party starts around 8:30 or 9 p.m. Beer will be available for a $5 suggested donation, compliments of Narragansett Beer. Doors open at 8 p.m. $5-$10 suggested donation. 100 percent of proceeds will be donated to Sojourner House RI. Food Truck Friday returns to the Carousel Village at Roger Williams Park in Providence for its fifth season on April 19 from 5 to 8:30 p.m., and every Friday thereafter. What could be better than eating out with the family on a Friday night? With local beer from Trinity Brewhouse and more than fifteen local eateries represented, there will be plenty to choose from. The carousel will be up and running, plus there will be a bounce house, train and camel rides, along with live music. Sunday, April 21 is Easter. Here’s where to go for Easter brunch and dinner. Doughnuts and beer? What could be better?! Join Proud Mary’s Donuts and Foolproof Brewing for Donuts and Drafts, an event that you’re sure to remember on April 24 from 6 to 8 p.m. at Foolproof Brewing in Pawtucket. The event features five hand-crafted sweet and savory doughnuts, paired with different drafts of Foolproof beer to create a match made in heaven. Tickets are $25 each. This year’s Eat Drink RI Festival kicks off with Rhode Island’s second Sommelier Punchdown from 6 to 9 p.m. at the new event venue at Sprout CoWorking. Co-hosted by certified sommeliers Ian Magiros of M.S. Walker and Jonathan Feiler of Ocean House, this event sees a handful of our state’s best certified sommeliers pitted against each other in a wine theory quiz, a blind wine tasting, and a collaboration with a local chef. Some popular Rhode Island chefs will present small bites with a wine pairing that the sommeliers believe is the perfect complement. Guests will vote on the fan favorite pairing, and Magiros and Feiler will tally the points of all three components of the competition to decide who reigns supreme in the southern New England wine world. Tickets are $50 each. The Eat Drink RI Festival’s Rhody Women’s Feast is a dining experience prepared by some of Rhode Island’s most talented female chefs — Jennifer Backman of The Mooring Seafood Kitchen and Bar, Shylicia “Shy” Heyward, Andrea LaFazia of the Locals, Rebecca Lentrichia of Renaissance Providence Downtown Hotel, Maria Meza of El Rancho Grande, Gina Pezza of Vanda and Lizzie Fink of Bread Box Baking Company— for a multi-course dining event. 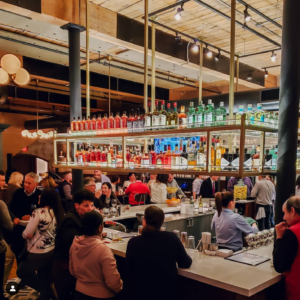 The dinner takes place at the brand new Revival Foodworks and Brewery in Cranston, and spirits are being provided by two women-owned distilleries: Boston Harbor Distillery and Pomp & Whimsy Gin Liqueur. Meats will be supplied by Ann Marie Bouthillette of Blackbird Farm in Smithfield, RI. In addition, proceeds from the Rhody Women’s Feast will benefit the Women’s Fund of Rhode Island. Tickets are $140 each. The Food Truck Stop returns Friday, April 26 from 5:30 to 8 p.m. to support the Rhode Island Community Food Bank! More than twenty food trucks (some favorites and some brand new) will be offering delicious samples at the Food Bank. Last year, more than $150,000 was raised. Tickets are $85 per person. Food Truck Friday returns to the Carousel Village at Roger Williams Park in Providence for its fifth season every Friday from 5 to 8:30 p.m. What could be better than eating out with the family on a Friday night? With local beer from Trinity Brewhouse and more than fifteen local mobile eateries represented, there will be plenty to choose from. The carousel will be up and running, plus there will be a bounce house, train and camel rides, along with live music. The Newport Craft Beer Festival, a weekend of beer tasting sponsored by Newport Craft Brewing and Distilling Co. and Pour Judgement Bar and Grille, returns for the eighth time. The weekend begins with a VIB (Very Important Beers) event on Friday at Newport Craft Brewing. Featuring beers not available on Saturday, this event allows you to mingle with both brewers and other guests from 8–10 p.m. The showcase of New England brewing continues on Saturday outside Great Friends Meetinghouse in Newport, from noon–3 p.m. and 4–7 p.m. Learn a little bit about the brewing process during your taste-test, from employees who help make each beer. 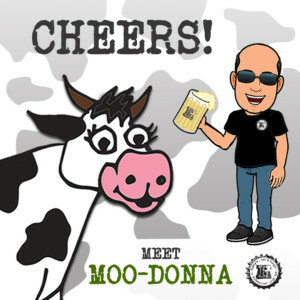 Food from nearby restaurants and tunes from local bands will add to your beer-tasting experience. Tickets include admission, unlimited samples and a souvenir glass at $40 per person for Friday and $50 per person for Saturday. The Eat Drink RI Festival Grand Tasting on Saturday April 27 from noon to 4 p.m. features samplings of over fifty locally produced beer, wine and spirits, as well as an abundance of local food artisans in the Rotunda and Ballroom of the Rhode Island Convention Center. During the Tasting there will be all-new local food and drink presentations. Tickets are $75 per person. The East End in Providence is hosting a special terroir tasting, Famous Catena Wines of Mendoza, Argentina, on April 28 at 3 p.m. Be one of the first people in the Ocean State to taste selected wines by Mendoza, Argentina’s highly-acclaimed Bodega Catena Zapata winery. A casual afternoon of wine and tasty South American treats awaits all who purchase their tickets. The cost is $35, inclusive of tax and gratuity. Visit theeastendpvd.com or call 401-433-9768 for reservations. Join Social Enterprise Greenhouse for its third expansion and grand opening on May 2 from 6 to 9 p.m.! A large community dedicated to their motto of “do well, do good,” SEG is celebrating yet another expansion of space to accommodate all the local entrepreneurs they’ve helped grow. Partake in a free friendly gathering where food and drinks will be served. Join InDowncity at the Rock Garden Party on Saturday, May 4 from 11 a.m. to 6 p.m. The eighth annual event is an outdoor celebration of all things spring with food, drinks, music and a plant sale. Soak up the city atmosphere at free, family-friendly festivities along Westminster Street from Dorrance Street to Union Street. Plus, get gardening tips from local experts and shop for plants and flowers. Deejay Studebaker Hawk will get you moving in between sampling food for sale from your favorite local eateries and pop-ups, including Hometown Poké, Durk’s Bar-B-Q, Poco Loco Tacos, Weenie Wizard, Brunch Belly, Kleos, Ellie’s Bakery, Small Point Cafe and more. Beverages will also be available from favorite vendors, including craft beers and sangrias from Little Bitte Artisanal Cocktails, Trinity Brewhouse, the Malted Barley and the Eddy. Providence Rock and Roll Yard Sale returns with forty-plus vendors selling curated records, vintage ephemera, books, handmade jewelry and crafts. Tents are located in the parking lot adjacent to Grant’s Block (260 Westminster Street). There will also be complimentary kids’ craft activities with the Providence Children’s Museum, sidewalk chalk and other fun for kiddos of all ages. Interested in asparagus? Head to Four Town Farm in Seekonk, Massachusetts, for Asparagus Fest from 2 to 5 p.m., to celebrate the arrival of spring and the local growing season with a tour of their asparagus fields. The tractor-pulled tour will include a lesson on how the vegetable is propagated, grown and maintained on the farm. After picking your own pound, learn how to integrate the vegetable into a variety of dishes from Johnson and Wales University’s own chef-instructors. Music and refreshments are included with the ticket for $100 at farmfreshri.org. The Pat Tillman Foundation’s Pints For Pat program has added Providence to its schedule. The ​Providence GPub at 61 Orange St. will host the inaugural event​ on Thursday, May 9 from 6 to 9 p.m.to honor late NFL player and Army veteran Pat Tillman. The event will also support the Tillman Scholars, who carry on his legacy of leadership and service. The night will feature light food, drinks, tastings sponsored by KEEL Vodka, bagpipes, silent auction and appearances by Tillman Scholar recipients. Spearheaded by Patrick O’Rourke, owner of the CycleBar Providence, the fundraising event serves as an opportunity to connect with Tillman Scholars and other supporters of the Pat Tillman Foundation Community. Tickets for the event are $42 online and can be purchased ​here​. All the proceeds generated from the event will support the Tillman Scholars Program. With more than thirty unique artists, food trucks from around the state, delicious drinks and live music, Sons of Liberty Spirits Company is the place to be from 11 a.m. to 6 p.m. for Arts and Eats at Sons of Liberty. The event itself is free, but make sure to bring along money to indulge in the amazing food truck fare and various drinks that will be offered. Families are encouraged to attend, but the tasting room becomes twenty-one-plus after 5 p.m.
Sweets for a cause? Who wouldn’t love that? Rhode Island Bakes for Breast Cancer is running its sixth annual fundraiser to donate money to Dr. Rachel Freedman, a physician researcher from the Dana-Farber Cancer Institute. Restaurants, patisseries and bakeries from all around the state will be participating in the event, which begins on Mother’s Day. For a full list of participants, visit bakesforbreastcancer.org. 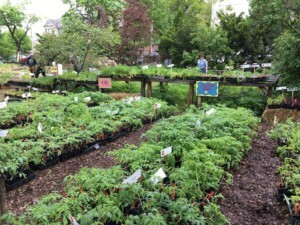 Join fellow gardeners for the Southside Community Land Trust’s Rare and Unusual Plant Sale at City Farm, on Providence’s South Side, on Saturday an dSunday from 10 a.m. to 2 p.m. to browse and shop hundreds of varieties of organically grown annuals and perennials, including fruit, vegetable and herb plant starts (roughly 20,000 in all!) while local bands serenade you. Discover hard-to-find perennials and hear tips from experienced gardeners. Current SCLT members can shop early, from 9-10 a.m. on Saturday. Join here. Proceeds from the sale support SCLT’s work to expand farmer training, resources and the supply of chemical-free, affordable and locally grown produce in food desert neighborhoods. Head to the Dunkin’ Donuts Center to enjoy some great food and drink from more than 100 restaurants at the Crave RI Food Festival June 20 and 21. Crave RI will host the two-day festival to spotlight Rhode Island’s unique culinary scene and kick off the twenty-first annual CVS Health Charity Classic, one of Rhode Island’s largest charitable event series. Returning restaurants include the Aviary, Red Fin Crudo and Kitchen and Matunuck Oyster Bar. Drinks will be provided by Narragansett Beer, Newport Vineyards, Sons of Liberty Spirits and more. Tickets can be purchased for just $23 online at ticketmaster.com, at the Dunkin’ Donuts Center box office or by calling 1-800-745-3000. Time to get saucy! Mohegan Sun is getting ready for its seventh annual Mohegan Sun BBQ Fest . There will be hot food, cold beer, and tons to do at the Winter Parking Lot. Guests can enjoy live music, fireworks, celebrity chefs, and handcrafted cocktails, rain or shine. Twenty Kansas City BBQ Society Teams will offer $2 samples and guests can participate in the People’s Choice Contest. Get your tickets now! The Malted Barley will be looking to break a world record as part of PVDFest‘s four-day arts festival held downtown. On June 8, the Malted Barley will host a record-breaking soft pretzel eating contest in Kennedy Plaza, which will set the first-ever world record for pretzel eating, sanctioned by Major League Eating. There really shouldn’t be much more to say than “bacon and beer,” but we’ll tell you more anyway. At the third annual Bacon and Beer Fest, on June 16 from 2 to 5 p.m. at Cranston Print Works, more than twenty-five local restaurants are teaming up with twenty-five local breweries to create an outdoor food and drink event you’ll be dreaming about until next year. Attendees will get to vote on the best pairings, and there will be a “People’s Choice” award and a Celebrity judge’s award for the best beer and bacon match-up. With live music, games, and, most importantly, bacon and beer, this event is sure to sell out. Tickets are on sale now! General tickets are $59 per person, plus fees. Outstanding in the Field is hosting its first event at Wild Harmony Farm on Wednesday, Sept. 4 at 3 p.m. The polyculture and organic livestock farm is run by Ben Coerper and Rachael Slattery, who raised their animals as close to the “wild” as possible, letting them roam on acres of land where the fences move every day. They practice rotational grazing, which means the animals are constantly provided with highly nutritious food, while the grass is likewise fertilized by the animals. The chef on duty for the multi-course meal in the beauty of the farm’s natural surroundings is Benjamin Sukle of Oberlin and birch in Providence. Chef Sukle was a James Beard nominee for Best Chef: Northeast in 2018 and is again in 2019. Tickets are $265 per person. Every Thursday in April, on April 4, 11, 18 and 25, Sardella’s Ristorante Italiano will celebrate its thirty-ninth year by bringing back the original menu from the 1980s. From its roots as a three-room tavern with just thirteen meals from which to choose, Sardella’s has evolved into Newport’s oldest full-service Italian restaurant. Returning favorites include white wine mussels, pasta primavera, aglio e olio and polla alla fiorentina, all at their original 1980 menu prices. The restaurant will also introduce Imbriglio’s Pizzeria Napoletana and Baking Company, makers of gourmet and authentic pizza, to honor the Sardella family baking business. The restaurant will be open for business at 4:30 p.m. each Thursday, but reservations are limited. Call 401-849-6312 or visit sardellas.com to book. Every Monday night is burger night at Chez Pascal in Providence. The burger will be offered in addition to regular menu items, while supplies last. One concoction is a grilled beef burger with cheesy herb spaetzli, crispy bacon and tomato preserve on a house-made bun, for example. Sides will also change weekly. George’s of Galilee offers many weekly dining specials. On Monday, enjoy half-priced appetizers with the purchase of an entree; Tuesday is Buck a Shuck all day; on Wednesday get a half-priced bottle of wine with the purchase of an entree; Thursday is slow-roasted prime rib nights; Friday, get all you can eat clam cakes, chowder and fish and chips for only $16.99! Buck a Shuck is also offered on Monday through Friday from 4 to 6 p.m. And there is live music every Sunday with Second Avenue from 2 to 6 p.m.
Matunuck Oyster Bar is hosting a first week of the month three-course $29.95 dinner special. On the first week of the month, now through April, diners can start with a choice of Matunuck oysters or a stuffie, followed by a second choice of a Matunuck farm house salad or chowder and you can choose any entree on the menu for $29.95. Make a reservation online at rhodyoysters.com. This offer excludes Saturdays, and there is a $5 upcharge for steaks and boiled lobsters and a $15 upcharge for king crab and $9 baked stuffed lobster. At Red Stripe in both Providence and East Greenwich, guests save 50 percent off bottles of wine every Tuesday from 6 p.m. to close. Everyday, enjoy half-price appetizers from 4 to 6 p.m. and 9 p.m. to close, only at the bar and high-tops. Appetizers include Basque calamari, street tacos, frites, parmesan truffle frites, buffalo cauliflower, mezze plate, crispy Brussels sprouts and Mediterranean broccoli rabe. Every Thursday from 5:30–9:30 p.m., Stoneacre Tapas hosts “Stoneacre Sushi” night. Bowls, specialty rolls, nigiri and other delicious Japanese dishes are served. Guests can enjoy the sesame udon bowl that is made with housemade udon noodles, Berkshire pork belly steamed buns and tuna tartare with gochujang and bean sprouts. Book a table here. Begin your weekends on Wednesdays at CAV in Providence with live music featuring Alexus Lee with half-price wine bottles and the new Bistro Menu. Thursdays also host live jazz featuring the Classic Jazz Trio. Join Jamestown Fish in Jamestown for Vintage Thursdays: a casual and affordable exploration of wine and food where the only agenda is enjoyment and education. Guests are invited to not only sample the provided offerings of the night, but to also bring their own bottles that fit the occasion to enjoy and share with others (if they wish). There is no set time to arrive. Enjoy a two-course dinner, paired perfectly with these wine samplings for just $25. Ella’s in Westerly offers a three-course pre-fixe menu for $25 per person on Monday through Thursday evenings. Choose from appetizers like roasted fall soup, salmon tartare and a greens salad; entrees like squid arrabiata, grilled swordfish and a grilled porkchop, and pumpkin cheesecake or chocolate mousse for dessert. For reservations, call 401-315-0606. Green Line Apothecary, the pharmacy and soda fountain, opened its new Providence location on Thursday, April 11 at 905 North Main Street. Transferring prescriptions to Green Line’s pharmacy is easy – call, stop by, or submit a request online – and the pharmacy staff takes care of the rest. Formerly known as Fountain and Co., Vic’s Craft Ice Cream is opening up shop soon in Barrington. Owned and operated by Victoria Young, Vic’s features small batches of unusual craft ice cream flavors including toasty vanilla made from coconut palm sugar, matcha, sour watermelon sorbet and more. In addition to the East Bay storefront, Vic’s will continue to pop up at Stock Culinary Goods throughout the summer. The shop is expected to open within the next month and plays off of pops of pink and red cherry decor. Stay up to date with the launch on Instagram or online. The new Iron Works in Warwick. Newport Restaurant Group, operated by Newport Harbor Corporation, has reopened Iron Works, located at 697 Jefferson Boulevard in Warwick. The space has been renovated and it will serve lunch and dinner Monday through Thursday 11:30 a.m.–10 p.m.; Friday and Saturday 11:30 a.m.–11 p.m.; and dinner only on Sundays 3–10 p.m. Executive chef Joe Caldarone, a native of Cranston, has created the menu, which includes appetizers like Moroccan salt-cured Shake-n-Bake wings with yogurt mint sauce and Point Judith calamari with cherry peppers, watercress and peppadew aioli; get a wood-grilled burger on freshly baked bread from Iggy’s or go for an entree, such as pan-seared, locally-caught sole or the Steak Board: wood-grilled, bone-in ribeye with seasonal roasted vegetables, roasted potatoes, house steak sauce, chimichurri and horseradish gremolata. For more information, visit ironworkswarwick.com or call 401-739-5111. Long Live Beerworks opened at its new location at 40R Sprague Street in Providence, and the old location on Fountain Street is now closed. The hours for the new space are Wednesday through Monday. Follow for updates on Long Live Beerworks’ Facebook page. Read more about the move here. The Revival, a second outpost by the same owners of the Revival in Warren, is now open in East Greenwich at 219 Main Street. The restaurant features bistro fare with local ingredients and more than seventy-five types of bourbon, according the East Greenwich News. 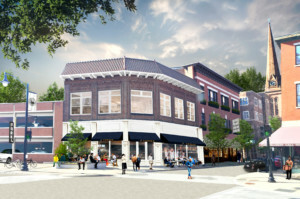 Tavern on Main, in the former Main Street Grille and Chocolate Delicacy location, is also set to open in May. Read more here. Daisy Jo’s Fried Chicken and Biscuits will be soft opening this April at 63 Airport Road in Warwick, which is the former location of Four Corners Coffee and Pink Pig BBQ. Stay tuned to its Facebook page for updates. The Punjab is a new Indian restaurant offering both dining in and takeout to Johnston. Willie’s Superbrew launched it third flavor, Sparkling Mango and Passionfruit. The hard seltzer is made with real fruit and it comes in other flavors, including Sparkling Pomegranate and Acai and Willie’s flagship, Sparkling Ginger and Lemon. 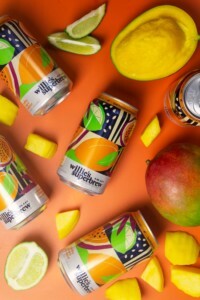 Willie’s Superbrew lists all ingredients and the latest flavor is made with just six simple ones, including water, alcohol, mango, cane sugar, passion fruit and lime. It only has four grams of sugar and 110 calories per can, and it is 4.5 percent ABV. Vegan Chef Matthew Kenney plans to open an all-vegan food hall in Providence at 334 Water St. in June. Read more here. Shake Shack opened at 249 Thayer St. in Providence, serving burgers made with responsibly raised meat, chicken sandwiches, custard-based shakes, fries and more. Read more here. Hotel Viking opened Hill Market Cafe in mid-March. The cafe serves coffee by Stumptown Coffee Roasters, handmade pastries, on-the-go bites and fresh pressed juices and smoothies, all made in-house. 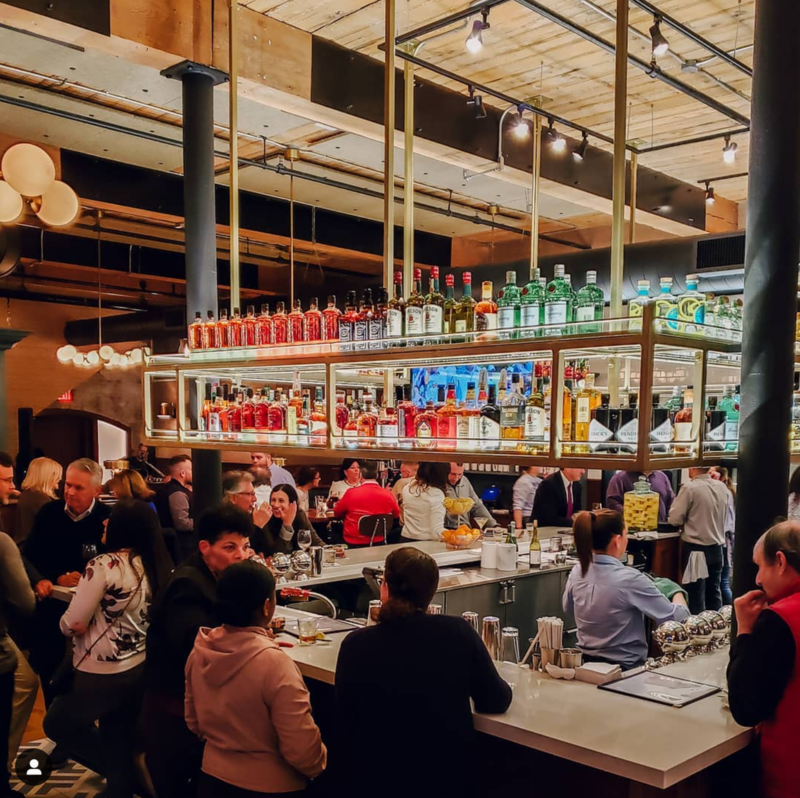 Nicks on Broadway’s owner and executive chef Derek Wagner will open a second location, Nicks on Westminster, in May in Providence’s Financial District. Frisky Fries opened a third location, this time in Barrington! The famous fries smothered with toppings are now available in the East Bay at 186 County Rd., located in the Barrington shopping Center. Granny Squibb’s Organic Iced Tea now has a third flavor, Charlie’s Cranberry. This new flavor is available locally, at Dave’s Marketplace, Providence Bagel, PVDonuts, Ocean State Sandwich Company and Hot Club in both sweetened and unsweetened versions. Named after founder Robin Squibb’s canine companion Charlie, the cranberry flavor is organic, non-gmo, vegan, kosher and gluten- and sodium-free. Granny Squibb’s is donating a portion of the proceeds from Charlie’s Cranberry to Save The Bay, a nonprofit organization that works to protect Narragansett Bay. Sydney Portsmouth is now open at 8 Russo Road in Portsmouth, serving breakfast, brunch and coffee along with its famous avocado toast. IL Massimo, from the owners of Massimo and Pane e Vino on Federal Hill, has officially opened at Legacy Place in Dedham, Massachusetts. The Italian trattoria is crafting authentic, seasonal dishes and serving both classic favorites from its original menu and new dishes developed for the location. Read more here. Aleppo Sweets Syrian bakery is now open at 107 Ives St. in Providence. Kai Bar’s Jason Kindness and partners have opened sports bar 241 Main in the former Fat Belly’s space in East Greenwich, which serves an upscale pub food menu. Graze Burgers opened in October in Westerly, featuring grass-fed burgers, french fries, custard shakes, vegan and gluten-free options, fresh chicken sandwiches – and beer and wine. The grass-fed beef comes directly from the family farm in Stonington, Connecticut, or one of the local partner farms. They also offer convenient online ordering of the entire menu. LineSider Brewing Company is East Greenwich’s first brewery. It opened to the public in November with a 4,200-square-foot facility, featuring a large, comfortable tasting room and outdoor courtyard. The Shaking Crab Cajun restaurant is now open at 284 Thayer Street in Providence, in the former Kartabar space. It’s the restaurant’s tenth location, serving Cajun-style seafood boils with crab, shrimp, lobster and other shellfish. Gracie’s and Ellie’s Bakery in Providence are getting a little sister. Ellie’s – a Parisian-inspired neighborhood eatery – is the latest brainchild of Ellen Slattery, proprietor of Gracie’s Venture. The new restaurant will feature distinctly French, bistro-style dinner classics – elevated by Gracie’s executive chef Matthew Varga – in addition to breakfast, lunch and dessert items offered at Ellie’s Bakery. Along with Varga, Gracie’s executive pastry chef Melissa Denmark will put a unique spin on Ellie’s bistro-style offerings. Ellie’s will make its home at 225 Weybosset Street. Ragged Island Brewing Company received unanimous approval from the Portsmouth Zoning Board for its plans to build a farm brewery at the former Van Hof Nursery property at 54 Bristol Ferry Road in Portsmouth. Read more here. Newport Restaurant Group plans to open a new restaurant in downtown Newport at the corner of Washington Square and Charles Street. Bar Cino will have a full menu focused on Italian cuisine and hopes to have a full liquor license. The transfer of Jimmy’s Saloon’s liquor license is pending. Newport Restaurant Group has also taken over ownership of Warwick’s Iron Works Tavern, and plans to reopen soon after renovations are complete. Chez Pascal’s new dining room. The Duck and Bunny, a bakery, creperie and restaurant closed in March for major renovations. The restaurant will be open at a new location, Hope Artiste Village at 1005 Main Street in Pawtucket, throughout the renovations. This smaller sweetery will still be a full-service bakery and tea shop. The Snuggery will reopen later this year with a full liquor license, upstairs party space, separate bakery area and library bar. Read more about the renovations here. Sweet Indulgence bought a building, which will be a restaurant, bakery and bar all in one in Warwick Conimicut Village. Stay tuned to its Facebook page for updates. 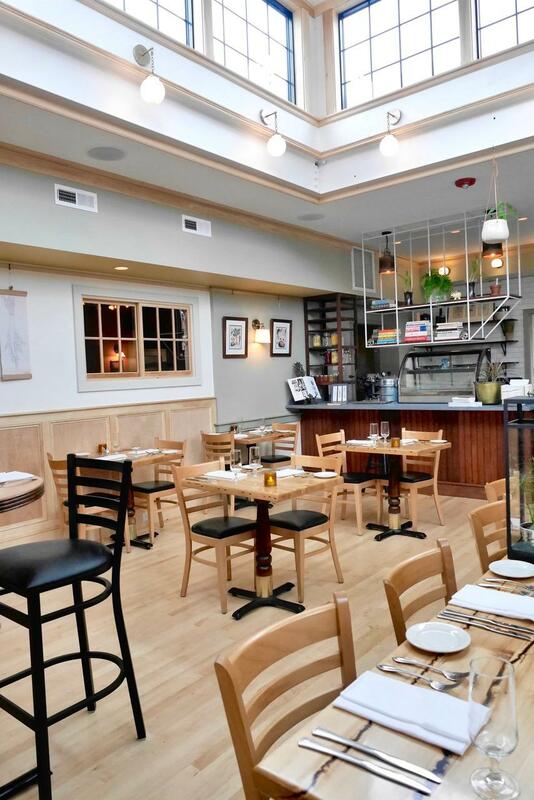 Chez Pascal in Providence has completed its renovations, and the place looks beautiful. Both menus, Chez Pascal and the Wurst Kitchen are available to all in the Chez Pascal dining room. Warren’s the Restaurant and Cafe on Main Street closed on March 30 after nineteen years in business. The restaurant’s lease was not renewed and the restaurant owners, Jeff and Michele Zeller, were reluctant to close, but will not relocate. Read more from turnto10.com. James Mark’s Big King was featured in a Boston Globe review by Devra First. Big King also recently landed a small review in The New York Times. Narragansett Creamery was awarded a Silver Medal for its Burrata Cheese, handcrafted in Providence, at the United States Championship Cheese contest held March 5–7, 2019. After an overwhelming response to their request for cow name suggestions, Harry’s Bar and Burger has picked a contest winner. From October 27 to December 31, patrons were invited to enter a name for the new addition at any of Harry’s four locations. The winner, “Moo-Donna,” was actually entered by thirteen different guests. However, the restaurant could only pick one grand-prize winner, so they compiled the finalists and drew a name from a hat. Helene Gugel from Lincoln ultimately won the contest — and free burgers for a year — but each of the other twelve guests will receive a $50 gift card to Harry’s Bar and Burger. Brian Casey, president and owner of two North Kingstown businesses: the Oak Hill Tavern and the Company Picnic Company, has been appointed treasurer of the National Restaurant Association, the largest foodservice trade association in the world. Casey is the first Rhode Islander to join the NRA executive committee in all of its 100 years and is set to become chairman in 2021. Feast and Fettle‘s new kitchen space in East Providence has allowed them to expand services into parts of Massachusetts. New members in Massachusetts will save 50 percent on their first order with code “HELLOMASS.” Read more about Feast and Fettle’s expansion here. AAA Northeast, which conducts on-site hotel and restaurant evaluations, has recognized COAST at the Ocean House in Watch Hill with its prestigious Five Diamond award for the first time. The Watch Hill restaurant uses local, farm-to-table ingredients and changes the menu daily to include the freshest items. Three Newport restaurants, Cara at the Chanler, the Dining Room at Castle Hill Inn and the Vanderbilt Grill at the Grace Vanderbilt Hotel, as well as and Gracie’s in Providence have been honored as Four Diamond Award recipients.